When we first begin to converse with Spirit, it is easy to dismiss the things we receive as coincidence or imagination. We are taught to believe what we see with our physical eyes, and can prove in the physical world. Spirit communication, however, is not the same as one physical being having a conversation with another. The unseen world, although it is all around us, can feel like a fantasy. This blog will help dispel some of your doubts and preconceived notions about how Spirit communication comes across– as always, using my own personal experiences as examples. Spirit is persistent, and will not give up until you receive the message that is coming through to you. You may think you heard something that sounded like it pertained to you, for example, while watching a movie, then later, overhear a conversation while in line at the grocery store that sounds oddly like the answer to your question. You may see various symbols that appear over and over, everywhere you find yourself. Because we ask so many questions in our minds on a daily basis, we may be unaware that our energies are not only being perceived by Spirit, but are a bit scattered, which can result in receiving messages that appear to be confusing. NOTE: Because signs and symbols often appear over a longer length of time in the beginning of your development, it is crucial for you to document anything you notice in your journal, as suggested in my previous post. The answer came in an interesting sequence of experiences that all pointed to the same, surprising answer. Over a period of about a month, the Lion made himself known. At this point, I knew the Lion was reaching out to me- literally! The next step was, ‘why?’ I didn’t understand what this meant. I looked it up in various resources, but as you know, it’s not always in someone else’s research that you find YOUR answer. So last night, before I went to sleep, I asked for a sign in a dream. I also asked that I be awoken from the dream, so I would remember it. Sure enough, I dreamed of the Lion, but this time he wasn’t chasing me He simply appeared in all of his majesty. In a flash, I saw him as a sculpture outside a building. 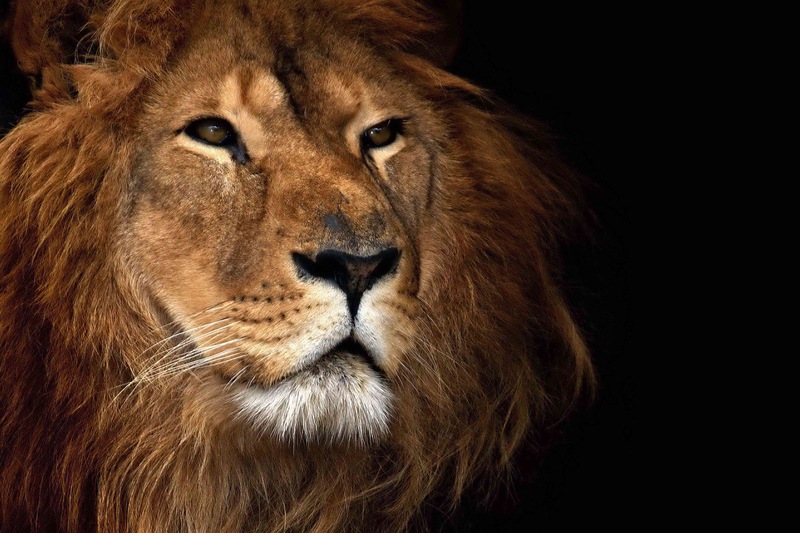 I woke up instantly, and said out loud, ‘Lion is guarding me.’ I knew at that point, that not only was Lion working with me to guard me through the powerful medicine of his roar, he is my Power Animal. The qualities that I’ve been guided to exhibit, particularly leadership, are all part of this Medicine. I got my answer, and now my real work begins. So as you can see, intuitive work and receiving answers is definitely not the same as a traditional conversation. You have to have the patience and openness to listen with different senses, and the faith of a child to trust that they are real. Your journey is your own, and no one else will have the exact same experience with the Divine that you have. If, however, you would like a little guidance in your development, you may reach out to me at healingstarspirit@yahoo.com to schedule a Personal Development session with me. I love hearing how Spirit reaches out to people, and I am always happy to be a part of another’s journey back to Spirit. ~ by healingstarspirit on February 1, 2016.